2019-20 District Calendar - 1pg. 2018-19 District Calendar - 1 pg. 2018-19 School Calendar 1 Pg. 2019-2020 School Calendar 1 Pg. White Plains is a thriving suburban city of about 57,000 people located approximately 25 miles northeast of New York City. Our excellent public schools are a strong attraction for young families and for those relocating to the New York metro area. Our tree-lined neighborhoods retain a small-town feel, yet our town is the economic and political center of Westchester County. Click here to view more information about our district. Main telephone number 914-422-2000. 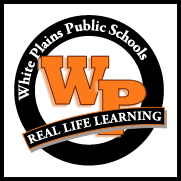 The White Plains City School District is now part of the Burbio community calendar for White Plains.